Berryburst and Berryburst MAX : a delicious shake of wonderful features ! 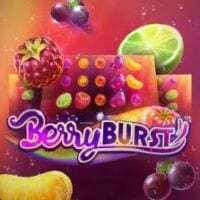 The release of Berryburst™ and Berryburst MAX™, both of which are slots developed by the renowned slot provider NetEnt, has had the global online gaming industry buzzing with excitement for the past few months! These two fresh and colourful fruit themed online video slots promise to be a big hit, and it is no coincidence that they happen to be coming out in the midst of summer. In fact, in an attempt to further promote the launch of this already long-awaited slot, a bus wearing the vivid colours of the game was sent on a tour of all the online casinos with offices in Malta, handing out free coupons which may be exchanged against ice-cream! With this double release, we can certainly say that NetEnt is surfing the wave of success created by the launch of Starburst™ in 2012, for both these video slots resemble it in many ways, yet they have a few more tricks up their sleeve. This video slot was however not destined to become a grand classic of the online casino world. After being developed, Starburst™ spent a considerable amount of time sitting in the offices of the slot provider, remaining unreleased. It wasn’t until a developer suggested finally launching the game and offering it to various casinos around the world that this simple slot filled with fun features and visually appealing symbols came to be known as one of the most popular online slot games of all time! The most exciting features found in this online slot are without a shadow of a doubt its expanding wild and the re-spins, which make a great comeback in both versions of Berryburst™. In this game, the wild symbol takes the form of an ice-cube, the key ingredient in making refreshing fruit cocktails. It may land anywhere on the reels during both the base game and the re-spins, expanding to cover the entire reel it has made an appearance on and triggering a re-spin. This means one may obtain a full screen of wilds, which in Berryburst MAX™ will grant the player between 500 and 1,000 times their stake, while in the regular version of the slot game one can win anywhere between 300 and 500 times their bet. The glossy symbols featured in Berryburst™ represent pieces of fruit such as raspberries, mandarin segments, grapes and limes, the ice-cube shaped wild symbol floating on the reels all evoke cool cocktails, while the bright colours of the backdrop and the high-spirited, zesty tune playing in the background are reminiscent of long summer nights. The feel of it may bring to mind that of Starburst ™, for they both have 5 reels and 3 rows and a similar design, however they do differ in many ways. Berryburst™, a medium-low volatility video slot, boasts an interesting RTP of 96.56% and a hit frequency of 20.20%, while the higher volatility version of the slot game, Berryburst MAX™ (high volatility slot) has an RTP of 96.23% and a significantly lower hit frequency of 14.6%. Starburst™ on the other hand displays an RTP of 96.10% paired with a hit frequency of 22.70%. 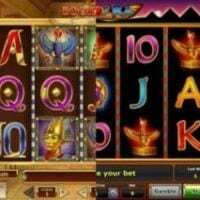 While the latter winning combinations could be made through bet lines, these fruity-themed slots were enhanced with the Cluster Pays™ mechanic, a ground-breaking feature first introduced by NetEnt with Aloha! Cluster Pays™ in 2016. This only adds to the thrilling gaming experience offered by this slot game, for instead of obtaining winnings by landing identical symbols on paylines, the game pays when the player creates winning clusters of a certain number of matching symbols. The two versions of Berryburst™ may both provide similar gameplays, however their win potentials are far from the same, for they meet different wants. Berryburst MAX™ promises less frequent but bigger thus more rewarding wins than Berryburst™. This duo is the first release of the Swedish slot provider’s innovative mixed volatility product line, which caters both for players seeking high volatility slots which pay-out less frequently and gamblers who are after low to medium volatility slots which offer regular yet small wins, hence diversifying the volatility of its game portfolio. 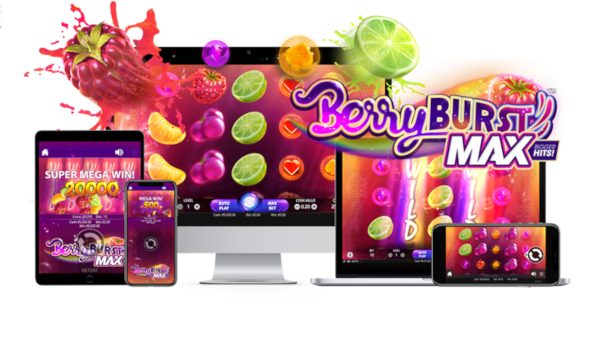 It is a well-known fact that fruity slots have always proven worldwide success, and with their sharp, crisp graphics and glossy symbols, Berryburst™ and Berryburst MAX™ promise to be no exception. This could easily be NetEnt’s biggest release of the year. What does the CMA (Competition and Markets Authority) stand for? Book of Ra™or Book of Dead™, which to choose?